The month of April has been designated Sexual Assault Awareness Month in the United States in an effort to “raise public awareness about sexual violence and to educate communities and individuals on how to prevent sexual violence,” according to the National Sexual Violence Resource Center. 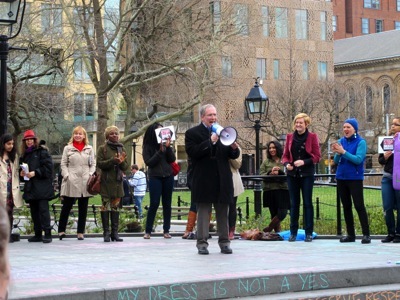 As a part of April awareness events, International Anti-Street Harassment Week (April 7 – April 13) in New York City was developed by Stop Street Harassment, an organization seeking to end gender-based street harassment. 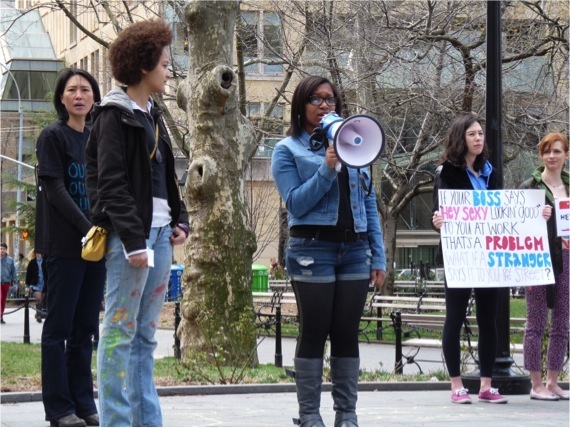 On Saturday, April 13th, GGE joined Manhattan Borough’s President, Scott Stringer at the Anti- Street Harassment Rally and Chalk Walk. Many speakers shared their personal experiences, which was followed by demonstrations on useful self-defense techniques taught by Center for Anti-Violence Education (CAE). 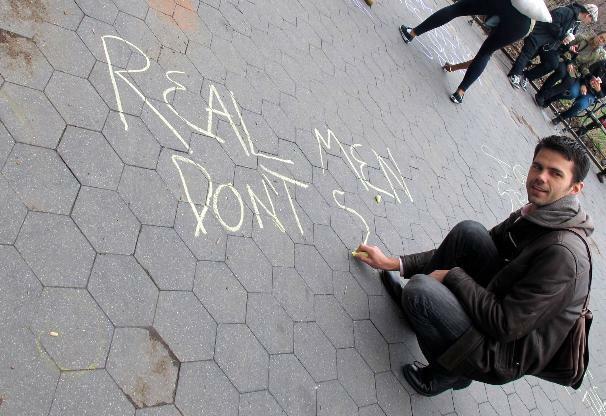 The Chalk Walk solidified the day’s end, pieces of chalk were distributed to participants so they could share and document their thoughts and feelings on street harassment throughout the park. 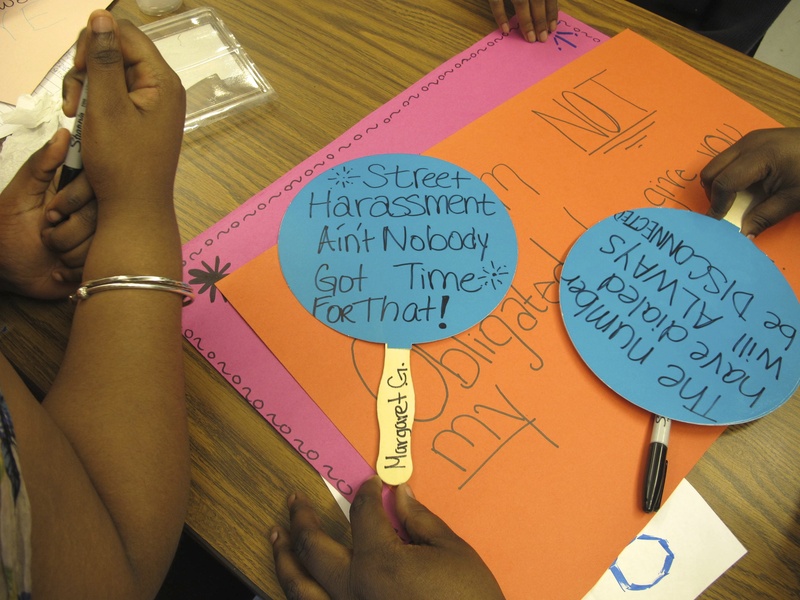 In preparation for the rally, GGE’s Sisters in Strength led a sign making party with the Brooklyn Young Mothers Collective and New York City Alliance Against Sexual Assault. 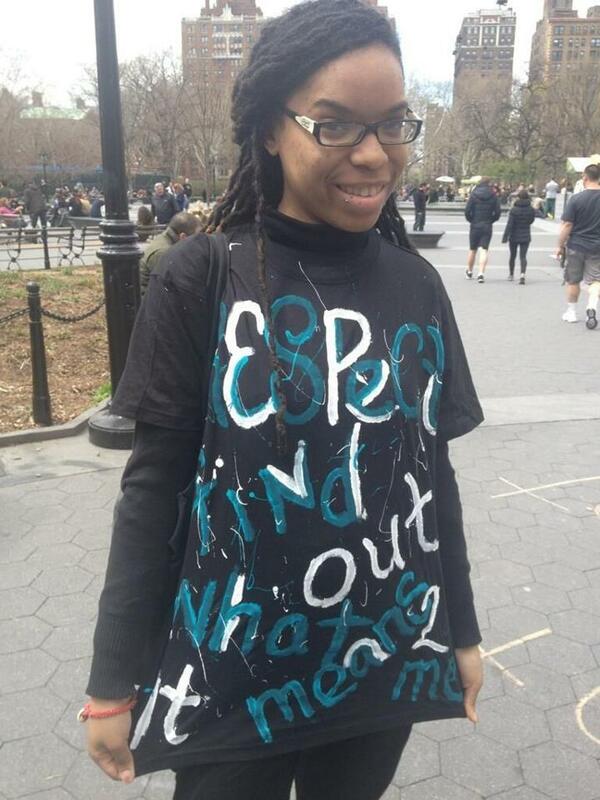 The young women created thought- provoking signs and t-shirts with words and phrases that articulated their feelings on street harassment. This year, over 16 countries rallied and marched to celebrate International Anti-Street Harassment Week including India, Bangladesh, Egypt, Yemen, Belgium, Canada, Germany, Italy, Nepal, Northern Ireland, Norway, Peru, Poland, United Kingdom, Argentina and Australia. GGE is proud to have been a part of this day and we will continue to take actions to combat street harassment throughout NYC so that everyone can feel safe.